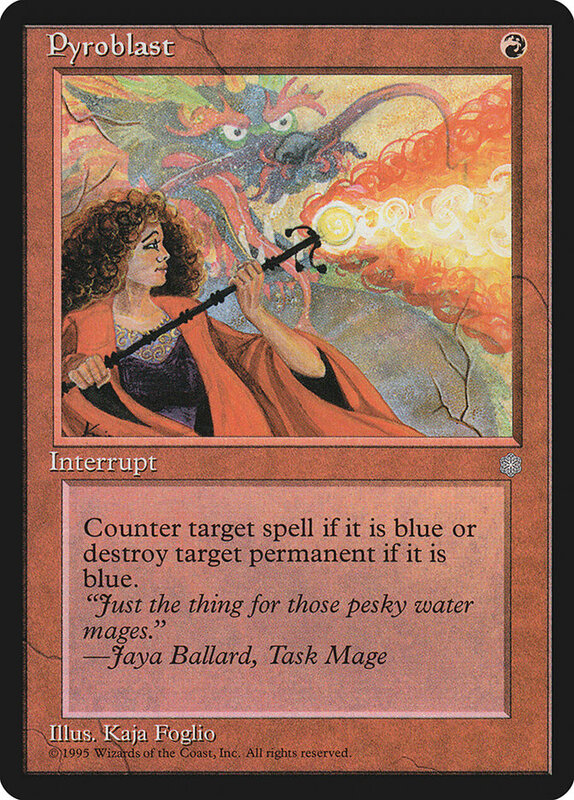 Flavor Text: "Just the thing for those pesky water mages." 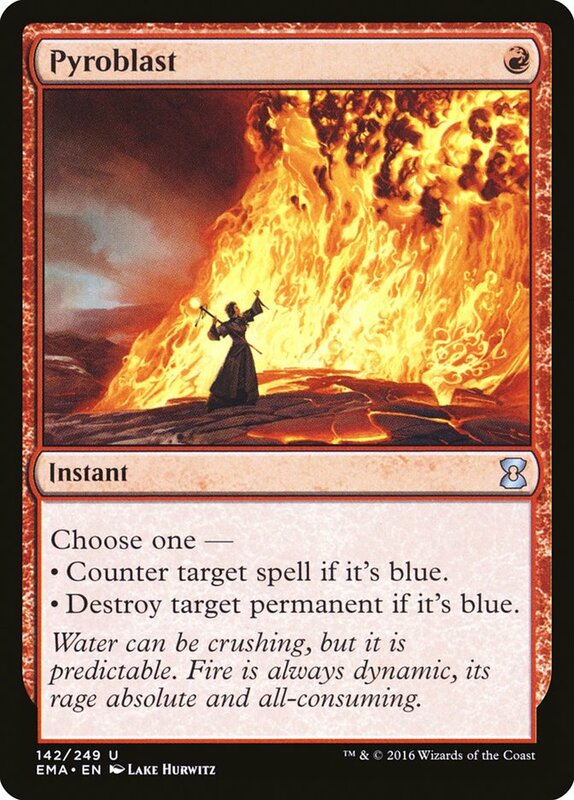 Flavor Text: Water can be crushing, but it is predictable. Fire is always dynamic, its rage absolute and all-consuming. 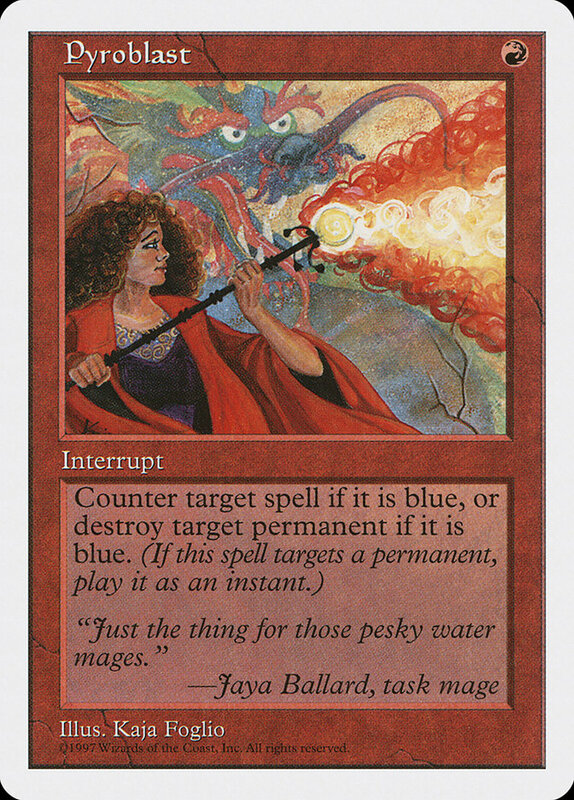 Card Text: Counter target spell if it is blue or destroy target permanent if it is blue.